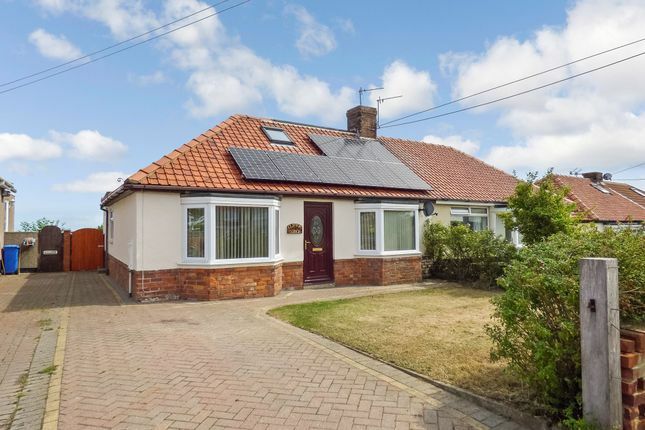 This exceptional three bedroomed semi detached bungalow is situated on the most popular coast road in blackhall with far reaching elevated stunning sea views to the rear. The bungalow in brief comprises; Hallway, Lounge through Dining room, inner lobby, family bathroom, Kitchen, Utility, landing and three bedrooms (two to ground floor and one to first floor). This impressive accommodation which extends to the outside with attractive block paved drive, front and rear gardens. Viewing is essential to appreciate layout and positioning. We expect a high level of interest on this stunning example of a family home so please call today to avoid disappointment. Access to two of the bedrooms and the lounge. With a double glazed bay window to the front, double glazed window to the side, two radiators and access to the inner lobby and entrance hall. With a double glazed window overlooking the rear garden and presenting stunning sea views, radiator and fitted wardrobes. With a double glazed window overlooking the front of the property and radiator. Access to the lounge, family bathroom, kitchen and utility room. To the rear of the property is a lawned garden with mature plants, flowers and borders, wooden built shed, all fence enclosed. Extensive block paved driveway, lawned garden and borders.